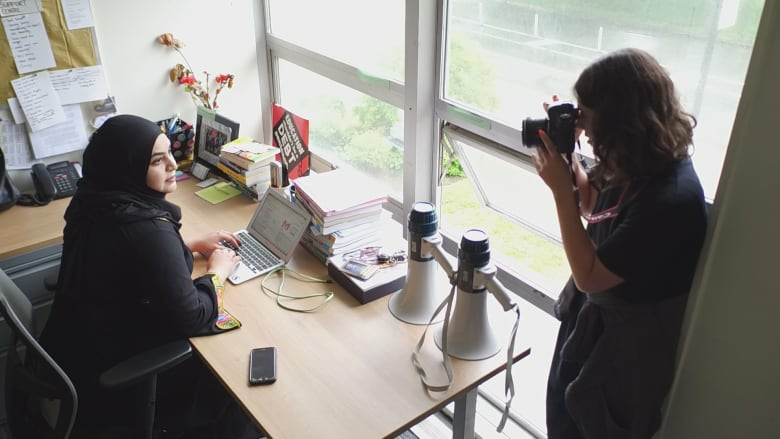 A Muslim photographer from Toronto is going across Canada, taking pictures of inspirational and successful Muslim women, to combat stereotypes and create a sense of community. A Muslim photographer from Toronto is travelling across Canada to take portraits of inspirational Muslim women. Alia Youssef startedThe Sisters Project to combat negative Muslim stereotypes and "to create a space of inclusion and belonging for all self-identifying Muslim women to embrace and celebrate their unique identities." "The Sisters Project is really for us more than anybody else," said Youssef, who graduated with a bachelor of fine arts in photography from Ryerson University in Toronto. 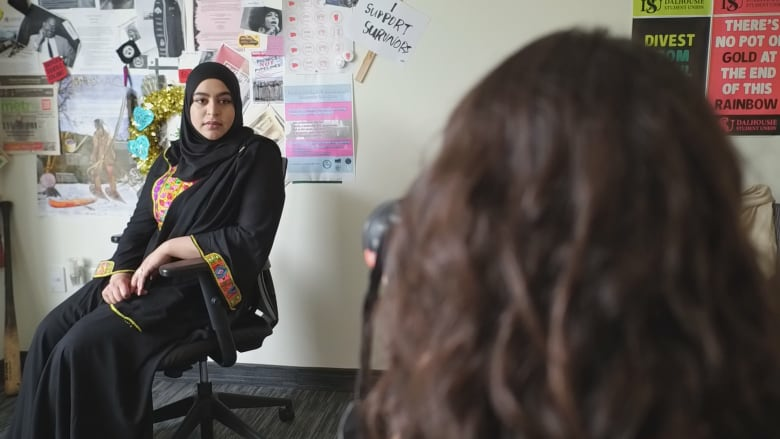 "It started as a project about countering misrepresentation about Muslim women, but what I've discovered is that the Sisters Project is about sisterhood," she added. The project began in 2016 as part of a university thesis. It mainly showcased Muslim women from Toronto and Vancouver, Youssef's hometown. "I started the project because when I was living in the suburbs of Vancouver I didn't really know any other Muslim women," said Youssef. "Then, I realized that the stories I was showcasing were primarily from a big-city perspective and what I was really curious about was how different provinces affect the lived experiences of a Muslim woman," she added. Her curiosity drove her about a week and half ago to take the project to 10 cities — Ottawa, Saskatoon and Halifax among others with the hope that the list grows. The cross-country trip is funded by Inspirit Foundation, a Canadian non-profit organization that supports young people in building a more inclusive and pluralist society. Youssef has also partnered on the project with the Tessellate Institute, an independent, non-profit research institute that explores and documents the lived experiences of Muslims in Canada. "What comes up again and again is that the experiences of Muslim women are different based on how big the Muslim community is," she said. "For instance, where I live in Toronto, the Muslim community is huge, so people knowing Muslims is not rare. Therefore, your reactions, and the questions you'll ask, are not so strange or Islamophobic." In Halifax, Youssef has taken portraits of Muslim dentists, students, social workers, volunteers, mothers and activists. She also interviewed me after I reached out to her about the project. One of the nine people interviewed is Masuma Khan, an activist and member of Dalhousie University's student council executive. "I love being part of a project that showcases what a real Muslim woman is," said Khan, who finds that Muslim women are often portrayed as silent, oppressed or even dangerous. In 2017, Khan became embroiled in controversy after she posted about "white fragility" on Facebook. She received death threats because of it. "This photo shoot is more of a way to get people to see past what they've heard of Masuma Khan, this angry Muslim woman, which I'm not," said Khan. "I'm a passionate Muslim woman who cares about social justice, so that's a narrative I'm trying to show and is basically who I am." 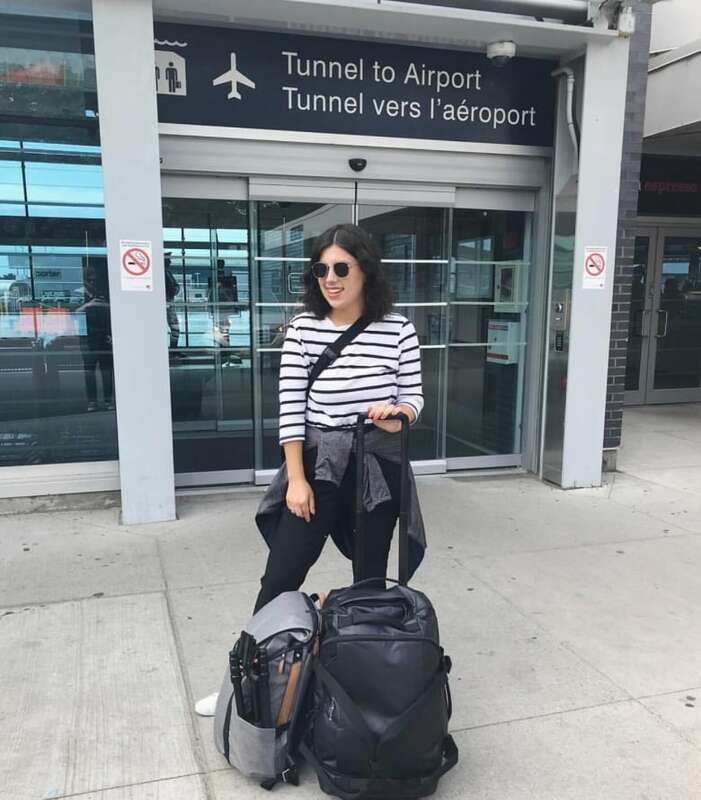 Youssef is documenting her cross-Canada trip on her Instagram account, sharing stories of the women she meets. "I hope people would find each other on the project and collaborate and seek one another out to grow this Muslim-Canadian community," she said.